You know, I may not be posting all that often but don't think I don't notice things. You just got the flavor you wanted and enjoyed your shake. 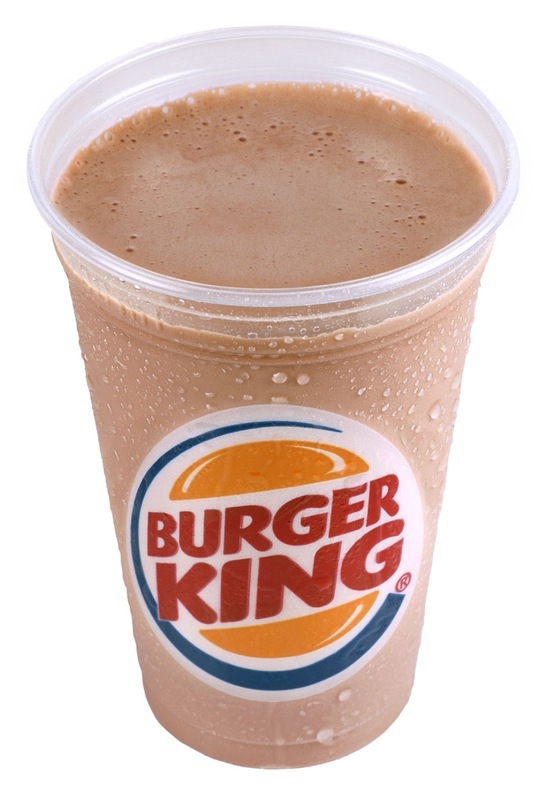 Ok, you could get a bit wild and order a Dairy Queen Blizzard and have some over-sugared candy blended into the shake. But it was still just a shake. 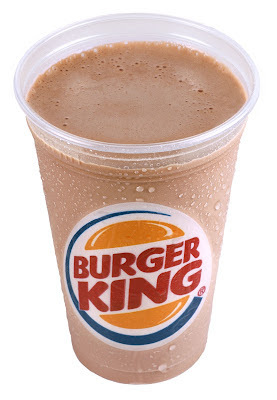 Then some sneaky corporate guy got an evil idea that what everyone really wanted was something on top of the shake. 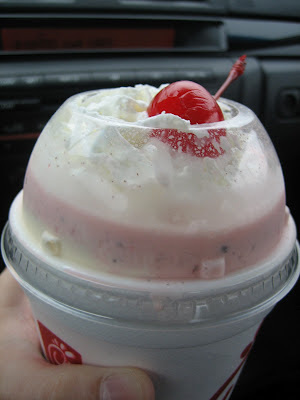 So instead of giving us all of our shake, they gave us less and then put a bubble top on the shake and filled it up with canned whip cream and added a cherry on top! WTF???? I don't get whip cream when I order my pizza because somebody thought I'd need more on it. Don't think I don't see through their tricks. This isn't a benefit, this is a cost savings design. Sure, we don't need 84 ounces of shake in a single serving but I just don't happen to like the way they rolled this out. Nobody asked me! Fortunately there are some establishments around here that have been making shakes for 50 or more years and they don't subscribe to such foolishness. And therefore, they will get my shake cravin' business now. Ditto. I need a sundae. I'm with you and lime. Wait. Next they will put limes on top of shakes. On second thought, probably not. Limes are expensive. I never buy shakes, but I'm with Lime, whipped cream is for sundaes. I like whipped cream......on my pumpkin pie...NOT IN MY SHAKE! I do like cherries no matter where they are put(with in reason now get your mind outta the gutter) LOL But whipped cream on top of a shake is just wrong.